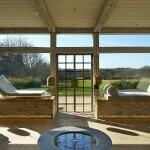 12 treatment rooms arranged around a central relaxation space, and a shop. This project was inspired by natural elements of the English countryside. The clear architectural symmetry of the space is elegantly crafted and softened with organic materials. 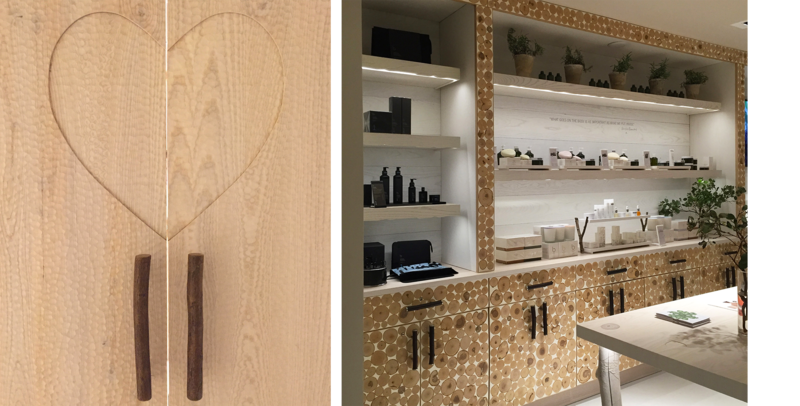 Wood is the main material, and locally sourced ash, aspen, oak, chestnut and hazel was carefully selected to bring natural elements into the interior. 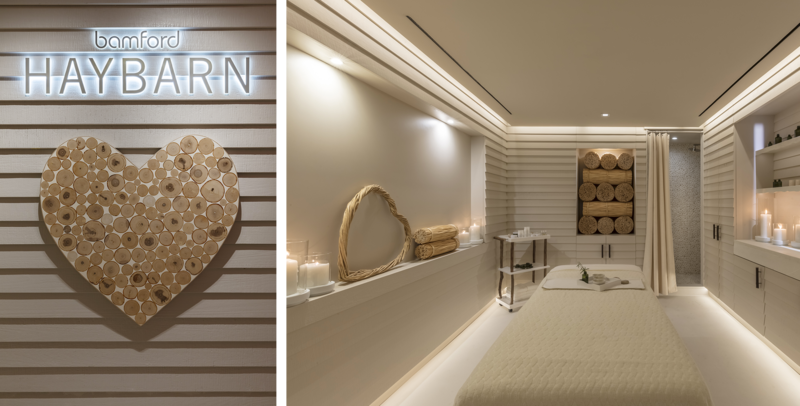 It’s an innovative, contemporary rustic space where visitors can be nurtured in a calm and healing environment whilst feeling close to nature. 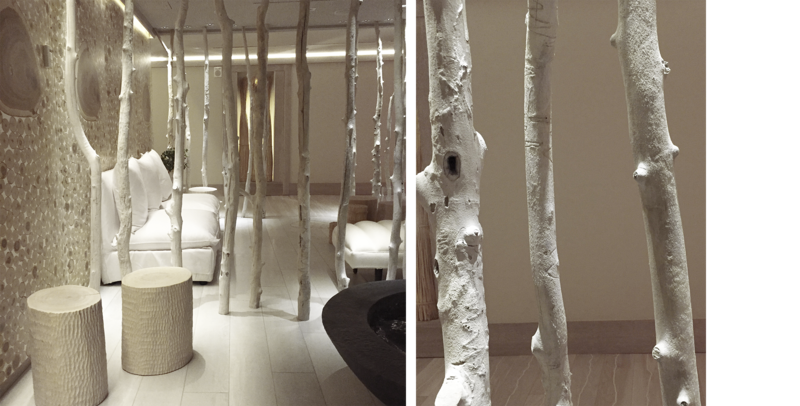 The heart of the Spa is a relaxation and recovery space, which we call The Woodland Room. Here nature overcomes the senses. Sofas, daybeds and armchairs, made from white-washed branches and upholstered in natural linen, are interspersed with hand carved wooden stools. In the centre there’s a handsome low-level hammered lead basin that ripples with water. I wanted to include a water element in the spa as a symbol of cleanliness, and the gentle gurgling sets the tone for tranquillity. 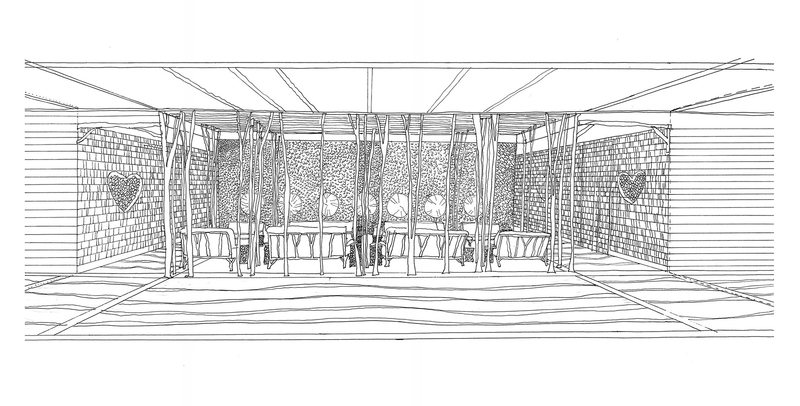 The room is framed with a row of tall, white ash trunks on one side, faced by a wall of oak and ash slices. 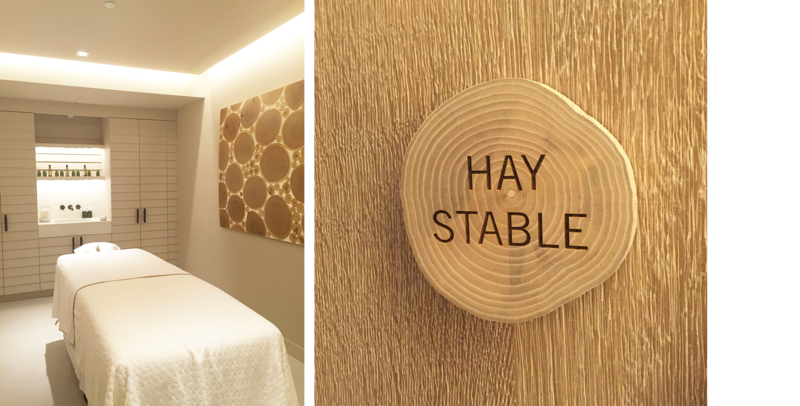 Around The Woodland Room there are twelve immaculate treatment rooms clad in white feather edge boards and finished with rustic details. 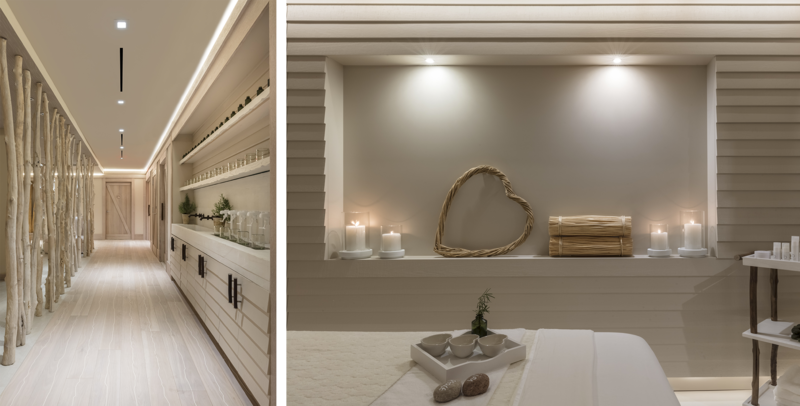 A white concrete floor inlaid with beach pebbles in the Woodland Room, shop and treatment rooms unifies the space and helps it look fresh and clean. The limed oak floor in the corridors is softened with natural edges and the wood framed rendered walls are inset with single log slices. Each slice is different to the next and brings character, texture and a graphic element to the passages. The lighting throughout is carefully considered to highlight the tactile wood elements and contribute to the atmosphere.